Sugar Lane Bake Shop will add some amusement to your Easter this year with its Unfortunate Chocolate Bunny sugar cookies. The cookies, available in gingerbread, chocolate or sugar cookie varieties, are a playful take on traditional chocolate treats. 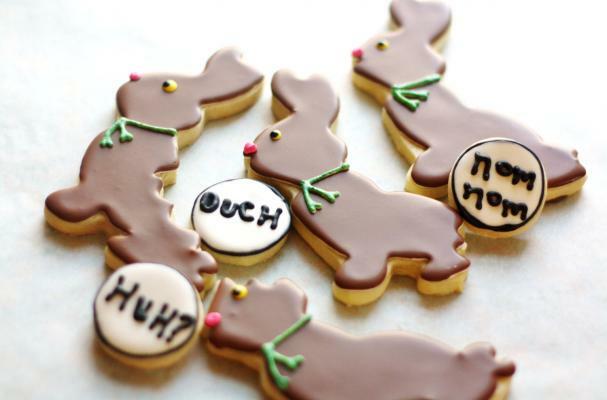 The cookies feature bunny shapes with bite marks on various body parts -- like their ears and cotton tails -- with speech bubbles. The cute treats also come with circles frosted with little sayings such as "Ouch" and "Huh?" For more Easter cookie ideas, check out these Chick Easter cookies.